Unrelated individuals can take out insurance policies on each other for the same reasons that related people initiate policies. Friends can take out insurance policies on each other to protect against risk, property and/or business interests and designate policy beneficiaries. Or just simply to help out a friend in need of help securing their own end-of-life expense needs. It is not uncommon for businesses to take out insurance on key employees. The simplest form of insurance that you can take out on an employee is life insurance. Before detailing how you can initiate such a policy for a friend, we’ll first explain final expense insurance in some detail. Life insurance policies can offer coverage for terms of multiple years, decades or a lifetime. There is an application and interview process required before approval, as well as a medical exam. Life insurance policies are custom designed. The younger and healthier the insured, then the more affordable the premium. While you can take out a life insurance policy on a friend, it can be a lengthy and expensive process if your friend is middle aged or elderly. It is not uncommon to encounter denials for such policies since they are custom designed and calculated against potential risk for the insurer. Final expense insurance is a bare bones policy designed to cover all expenses related to end-of-life medical costs and funeral costs. Middle aged and elderly people are usually the target marketing audience for final expense insurance. Final expense insurance is relatively easy to be approved for since it is made available for large demographics of relatively uninsurable people. This includes elderly people, low income applicants and people who have never been insured. The interview process is short and can be done over the phone. There is no medical exam necessary, although medical and/or medication histories may be requested. Life insurance policies can cost tens or hundreds of dollars a month as well as be worth hundreds of thousands or millions of dollars. Final expense insurance premiums could cost a few dollars a month or not a lot more than a hundred dollars. Most final insurance policies have a value ceiling of $25,000 on the average. While you can insure an employee for final expense insurance, they need to be minimally involved in the process. Your employee will have to answer a few questions over the phone and sign paperwork signaling their consent to the process. This is required since your employee is the insured and you will probably be the beneficiary. As the beneficiary, you can receive financial payouts in the event of death. However, if the policy is used to pay for your employees’s end-of-life expenses, there may not be a lot of cash value leftover for payouts. You will have to prove an insurable interest. 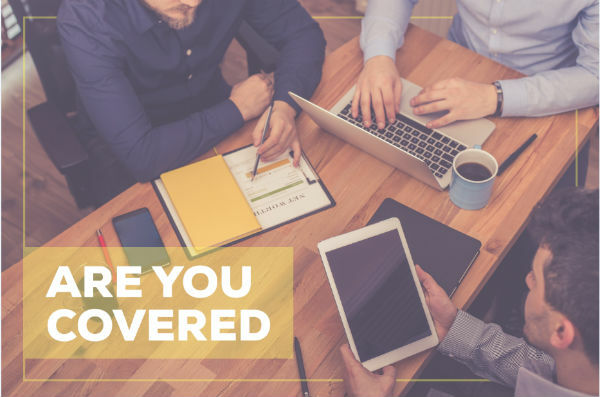 Proving an insurable interest means that you must prove to the insurer that the death of your employee will cause significant financial duress to you. You will have to prove that you and your employee run a business together, jointly own property, or is a key asset to the business or rely on each other for financial support. Get your employees involved in the process as much as possible since they are the insured. Talk to representatives of several insurance companies. Compare rates and try to get the best coverage.